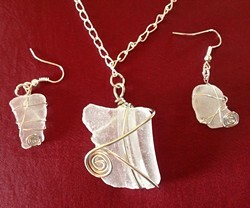 Create a jewelry set (necklace and two pierced earrings) or a mobile or a salad server. All materials are provided to complete one of those projects, including local sea glass and tools. No experience necessary. Preregistration is required.